The 2016 EX Rondo is a tall-wagon styling that provides lots of interior space! It comes equipped with air conditioning, alloy wheels, leather seats, cruise control, heated seats, backup camera and Bluetooth. The 2.4 4 cylinder GDI (Gas Direct Engine) is a great fuel saver for both city and highway! This Certified Pre-Owned (CPO) vehicles comes with 3 FREE months of satellite radio and 3 FREE oil changes! 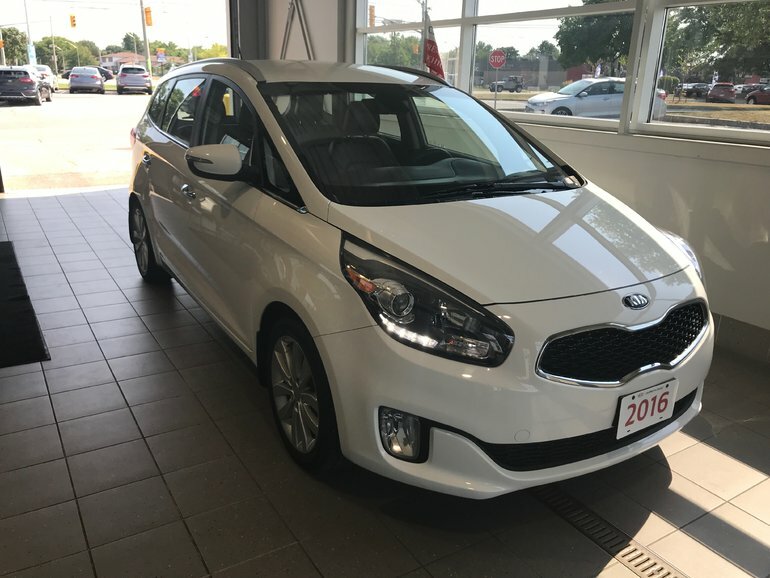 Interested by the 2016 Kia Rondo EX ?